Radium Hot springs ... It is a beautiful lodge over looking the mountains and view. We saw deers playing nearby. 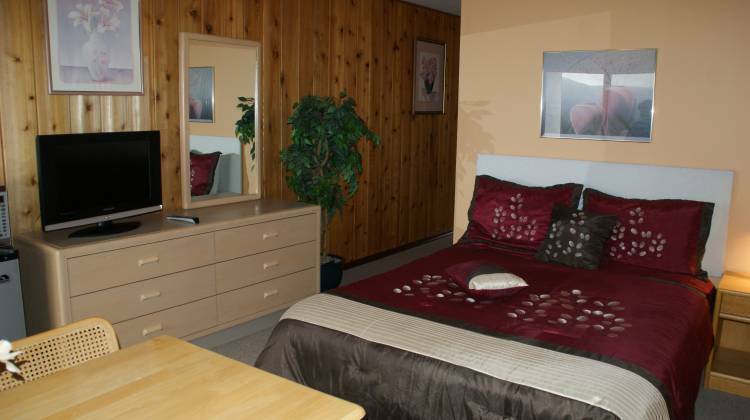 The room was very clean and comfortable and the owners were very friendly and helpful. 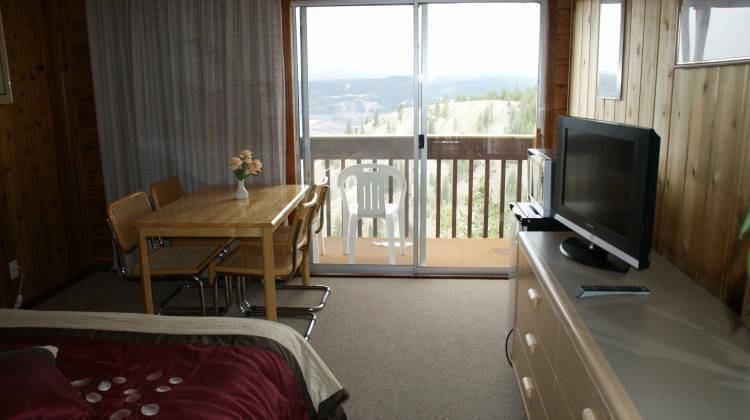 Our Radium Hot Springs lodge web-address says it all, it is a Million Dollar View. A vacation getaway, away from the highway traffic, our private no through road location, offers the perfect setting for you to relax and admire the Rocky Mountain Big Horn Sheep and Deer that frequently wander through our property. 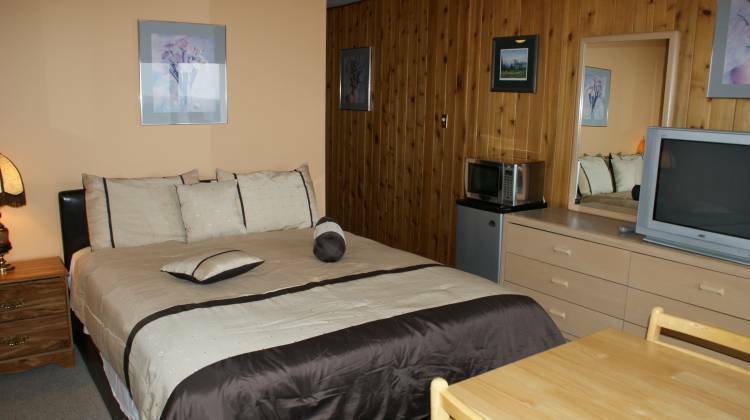 All of our suites are air conditioned, and include a fridge, microwave, kitchen table with chairs, cable TV with remote in the living room, wireless Internet, hair dryer for the bathroom, and a digital alarm clock in the bedroom. in Radium Hot Springs. It is a perfect place for you to relax after a long, hot day of golfing or hiking. After a long day of enjoying the many activities that Radium has to offer, soak away your aches and pains in the 40°C (104°F) therapeutic, odorless mineral hot springs. It is located within the boundaries of Kootenay National Park, considered to be amongst the finest in the world. Radium Hot Springs and the surrounding area is known as a golfer’s paradise with 17 golf courses within a short driving distance, considered some of the best in the province. Cancellation policy is 48 hours prior arriving, 7 days before long weekends and special events. Need credit card information for booking, charge upon arrival. In Radium Hot Springs turn uphill at the Radium Woodcarver (you can’t miss it), going up the hill Rocky Mountain Lodge & the Citadella Restaurant are located just next to the Chalet Motel.